In 2012, we turned a run-down Victorian townhouse into a space for advancement, sustainability, innovation and good taste. Inspired by the ephebic oath of the Athenians which states "I will not leave a diminished heritage, but greater and better than when I received it" we created a gallery for sustainable design without the compromise of style. With time, our scope expanded to include fashion, art, charities and eventually events for spiritual and personal wellbeing. 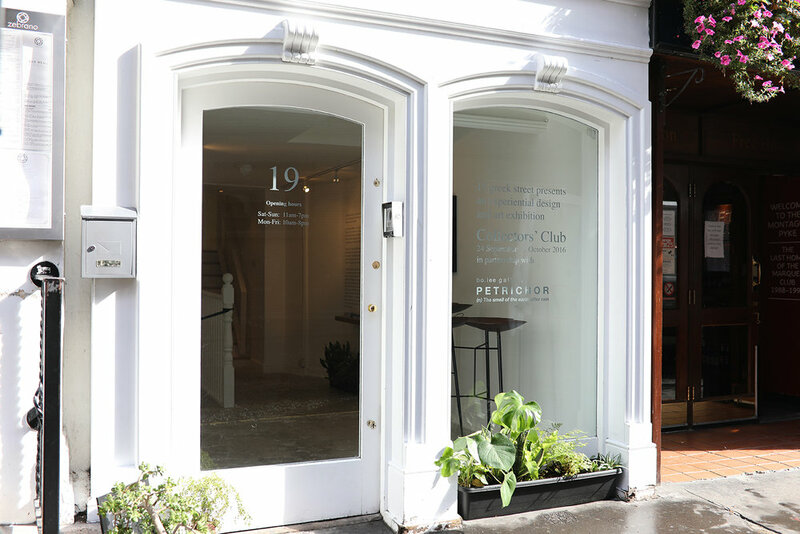 Today, 19 greek street hosts events of many types, from fashion to beauty, interiors to media. But at our core is still our philosophy of bringing together events which will help make the world a better place. We love that events raising funds for people with mental health disabilities and young girls in the slums of Laos and Cambodia have taken place alongside events by some of fashion's biggest names such as Louis Vuitton, Louboutin, Hugo Boss and more. Click here to have a look at some of the events and projects of this type which have been held in our space, or get in touch to speak to us about hosting your own altruistic event in our space.